To top it off, many internet nasties such as spyware programs, viruses and Trojan horses will install themselves into one of the automatic start locations on your system in order to make sure that they are run on startup. So the point is, take a look at what is currently running every time you load your PC, and disable what you don’t need or can’t identify. Microsoft Photo Editor enables you to crop or edit a screen shot prior to pasting it into your Office document. 2. On your Windows desktop, click the Start button, point to Programs, point to Microsoft Office Tools, and then click Microsoft Photo Editor. 3. On the Edit menu, click Paste as New Image. 4. To select only a portion of your screen shot (the portion you want to copy to your Office document), click Select on the Standard toolbar, and then drag your mouse pointer over the area you want to select. 1. On the Tools menu, click Customize, and then click the Commands tab. 2. In the Categories box, click New Menu, and then drag New Menu from the Commands box to the location on the menu bar or toolbar where you want it displayed. DirectX – what it is? DirectX is a set of APIs (application program interfaces) developed by Microsoft. It provides software developers with resources to write Windows-based applications that access hardware features of a computer without knowing exactly what hardware will be installed when the program eventually runs. By using the interfaces provided by DirectX, software developers can take advantage of hardware features without being concerned about the implementation details of that hardware. The full benefit of DirectX is most evident in PC games. Unlike console gaming machines such as the PlayStation or GameCube, for example, computer game developers are producing a game that needs to be designed to work well on a variety of systems as opposed to one system that is the same for all end-users. You can use keyboard shortcuts to access the Font box and the Font Size box on the Formatting toolbar and then quickly change the font or size of selected text. 2. Press CTRL+SHIFT+F to access the Font box or CTRL+SHIFT+P to access the Font Size box. 3. Press UP ARROW or DOWN ARROW to select the font name or size you want. 4. Press ENTER to accept the font name or size. To NTFS or not to NTFS that is the question. But unlike the deeper questions of life, this one isn’t really all that hard to answer. For most users running Windows XP, NTFS is the obvious choice. It’s more powerful and offers security advantages not found in the other file systems. But let’s go over the differences among the files systems so we’re all clear about the choice. There are essentially three different file systems available in Windows XP: FAT16, short for File Allocation Table, FAT32, and NTFS, short for NT File System. The FAT16 file system was introduced way back with MS DOS in 1981, and it’s showing its age. 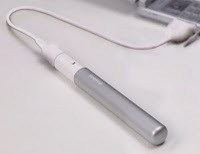 It was designed originally to handle files on a floppy drive, and has had minor modifications over the years so it can handle hard disks, and even file names longer than the original limitation of 8.3 characters, but it’s still the lowest common denominator. The biggest advantage of FAT16 is that it is compatible across a wide variety of operating systems, including Windows 95/98/Me, OS/2, Linux, and some versions of UNIX. The biggest problem of FAT16 is that it has a fixed maximum number of clusters per partition, so as hard disks get bigger and bigger, the size of each cluster has to get larger. In a 2 GB partition, each cluster is 32 kilobytes, meaning that even the smallest file on the partition will take up 32 KB of space. FAT16 also doesn’t support compression, encryption, or advanced security using access control lists. By default, Office 2000 displays only the commands that you use most often on the new, personalized menus. Do you wish you could see all of the commands at once like you could in Office 97? Here’s how. 1. On the Tools menu, click Customize, and then click the Options tab. 2. To show all the commands on the menus, clear the Menus show recently used commands first check box. You can teach yourself keyboard shortcuts for the most commonly used commands in Microsoft Word by turning on shortcut keys in ScreenTips. When you choose to show toolbar ScreenTips, you can specify that Word also display a shortcut key combination for the toolbar button. 2. If it’s not already selected, select the Show ScreenTips on toolbars check box. 3. Select the Show shortcut keys in ScreenTips check box. Any time a company both enables our gadget addiction and discourages wanton battery consumption we have to consider it a good thing — and, indeed, Sanyo’s wicked-rechargeable Eneloop batteries already have quite a few fans here at Engadget HQ. But what’s a busy gadget hound to do on the go, you ask? 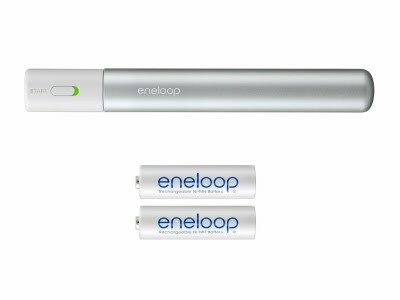 Try this one on for size: the Eneloop Stick Booster ships with two AAs and can be used to charge them, via any USB source. Color us shocked and elated. Boxee, the white-hot startup that has risen from nothing to everywhere thanks to its internet TV software portal, has just announced that a deal has been inked between it and an undisclosed “hardware partner.” If you’ll recall, we actually heard that the outfit was mulling the production of its own set-top-box back in January, and now it looks like Roku, Apple TV and a host of other mini PCs will have yet another formidable rival vying for space underneath the tele. The firm isn’t spilling any details whatsoever on the so-called “Boxee Box,” but we are told that mockups and the like will be presented at the Boxee Beta Unveiling on December 7th. 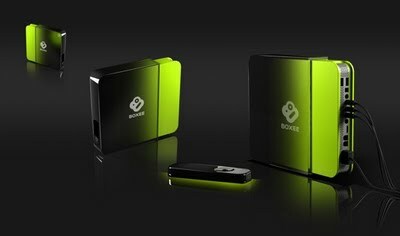 Oh, and as if you aren’t excited enough already, chew on this — the company has informed us that they believe “this will be the first of several living room devices you’ll see running Boxee in 2010,” so don’t be shocked if your favorite game console or Blu-ray player gains an embedded Boxee app in the near future.